Napa Valley is home to some of the country's most collectible wines: those bearing the Premiere Napa Valley label. These micro-lot wines (only between 60 and 240 bottles are produced) are made specifically for an annual, private auction, open to members of the wine trade, who in turn make the bottles available to their customers and collectors around the world. The limited-edition nature of Premiere Napa Valley wines allows winemakers the leeway to be highly creative, showcasing, perhaps, a very specific and special part of their vineyard, an unusual grape variety, clone or blend and collaborative efforts between winemakers. The resulting wines are one-of-a-kind; once each tiny allocation is gone it will never again be replicated. A bottle of wine is often compared to a piece of art; the vintner wielding a deft hand on a blank canvas (here, the grape) to create an end-product that is representative of his or her specific skill-set and personality. A Premiere Napa Valley wine intensifies that connection between the wine and the winemaker, much as if an artist well-known for a certain genre is suddenly given the opportunity to 'stretch' and paint 'outside the box.' The results are both stunning and surprising. Furthermore, Premiere Napa Valley wines are presented in limited-edition bottles, each hand-numbered and initialed by the winemaker. The stories of their genesis bring each bottle to life and are a part of the appeal for any collector. So how do you get your hands on these highly sought-after bottles? Tom Fickinger is a wine lover who has been collecting Premiere Napa Valley wines for over 15 years. He came across Premiere wines when he first moved to New Jersey and started buying them from a local retailer, Gary Fisch of Gary's Wine and Marketplace. He was immediately hooked. "It didn't take long for me to realize these are both fun and exceptional wines and I have been buying them ever since." Fickinger has had the opportunity to taste many prestigious, high end wines over the years and easily places Premiere Napa Valley wines in their own category: "These wines are a step higher. You can tell just by tasting them the joy that went into creating these bottles. These winemakers should be very proud to have put together such expressive wines from their best grapes and best blocks, in such limited quantities." He reminisces about some of his earliest finds, recalling a bottle of Spottswoode and a wine from Joseph Phelps. "These are brands I loved to begin with but their auction offerings just blew me away. Every wine I tasted was, Holy Cow, something incredible!" Premiere Napa Valley wines also help Fickinger explore more of Napa Valley in general. "For a few years I bought a lot of wines from the Stags Leap District, then Spring Mountain, then Howell Mountain. So I keep moving around the valley, exploring, discovering. I have been introduced to so many great wineries this way." He considers the winemakers rockstars in their own right, and has been honored to meet some of them and make their acquaintance. Just knowing a wine is from Premiere Napa Valley gives him the confidence to go outside of his comfort zone in terms of the varieties he prefers because: "I just know it will be good." The reason he knows this is because vintners make Premiere Napa Valley wines for only one reason: to shine. Since they do not have to worry about selling these wines commercially, their Premiere offerings can vary from their traditional winery offerings. A winemaker might decide to use only grapes from certain blocks or elevations in the vineyard; the hillsides and/or the Napa Valley floor; or selections of mountain and benchland fruit. Likewise, the fruit might be sourced from different clones; an atypical variety that might have minimal presence in the vineyard; or, as in one case this year, simply showcase the fruit of 50 vines. In the winery too, a slight twist might define the wine: using a new barrel or a specific toast on a barrel; blending more or less of a variety; or even blending more than one vintage together. Aaron Pott, owner of Pott Wine and consultant for various Napa Valley wineries including Blackbird Vineyards, Martin Estate, St. Helena Winery and Seven Stones Winery, is the steering Committee Chair of the 2019 Premiere Napa Valley auction. 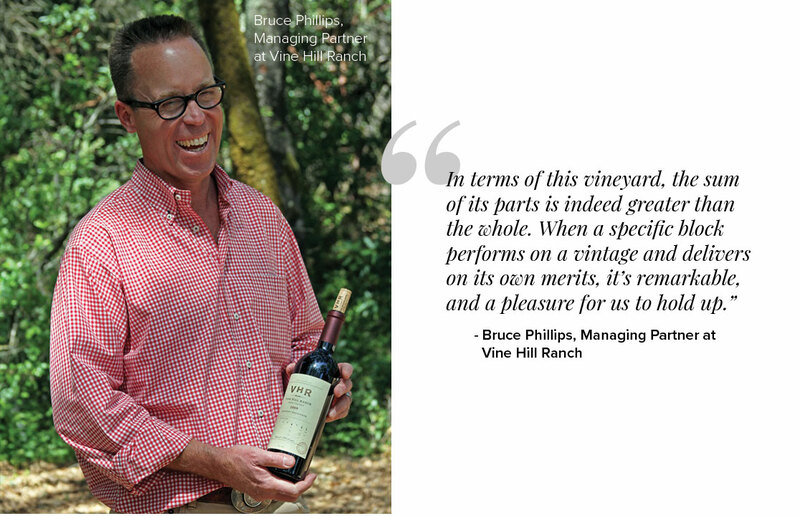 He has worked on many Premiere Napa Valley wine entries, including this year's from his own winery. "Premiere Napa Valley gives winemakers the opportunity to be highly creative. Often these wines are a surprise." Working with unusual varieties or fruit sources, and choosing different blending equations are two ways that made his Pott Wine 2018 entry, a Cabernet Franc, so interesting. "I have very little Cabernet Franc in my vineyard, less than an acre in fact, so that is the first reason this wine was so different. Then to have it at 100 percent and not part of a blend is also unusual for my wines." He explains the process for creating a Premiere Napa Valley wine starts in the winery in late May. This is when vintners taste their way through barrels of wines and decide which to blend together. "I look for something that will pop, that will be fun to taste." Since Premiere Napa Valley lots are so small that means Pott is working with just a single barrel. 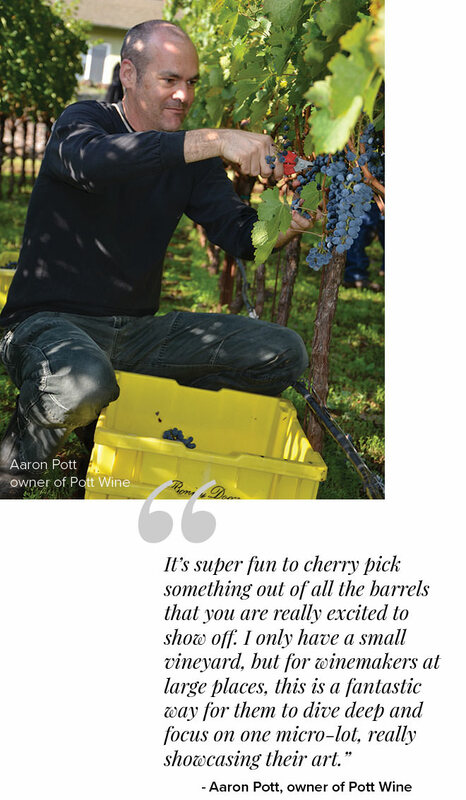 "It's super fun to cherry pick something out of all the barrels that you are really excited to show off. I only have a small vineyard, but for winemakers at larger places, this is a fantastic way for them to dive deep and focus on one micro-lot, really showcasing their art." 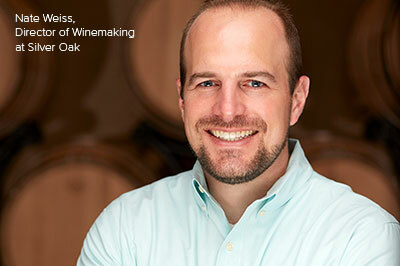 Nate Weiss is the Director of Winemaking at Silver Oak. Twenty cases of their 2018 Cabernet Sauvignon offering fetched the highest amount at this year's auction. "What I love about Premiere Napa Valley wines is that there really are no limits." This was Weiss's fifth auction entry and he explains that although the vineyard is known for a single Cabernet Sauvignon wine, their Premiere offerings in the past have sometimes been more of a red blend. "In 2015, we offered a blend with less than 75 percent Cabernet Sauvignon. That was a huge departure for us." Every summer, Weiss and his team taste through all the barrels as part of their normal winemaking process. "We look at the ones that performed really, really well and put those into the hopper for blending into a Premiere Napa valley wine." With 15 different vineyards in the mix, blending is a significant part of Silver Oak's process. "We apply the same procedure to the Premiere lot but on a micro-level. While we might spend over a month blending our regular Napa Valley wine, a Premiere Napa Valley wine will often take over a week. As a single barrel wine, the only thing that really comes into play is trying to express the very best of this vintage, which is lots of fun but not easy." He adds that he is sometimes pleasantly surprised by which vineyards and subsets perform well in a given year. "This process definitely sharpens our focus and appreciation of some of these blocks." Vine Hill Ranch is an estate vineyard of roughly 70 acres in Oakville, a varied site that rises up from the valley floor. In the '80s and '90s the vineyard was redeveloped with the sole purpose of focusing on Cabernet Sauvignon. "Our vision, as growers, was to optimize the expression across a varied site in terms of elevation and soil types, and drive complexity in our blends," explains Managing Partner Bruce Phillips. Their Premiere Napa Valley wines highlight singular aspects of their vineyard by featuring grapes from only one of their 18 farming or source blocks, which they call a VHR Assessment Series. "Each of our five auction wines have reflected a block that we felt showed particularly well." Phillips uses their 2011 vintage offering as an example. "It was a cool year which did something remarkable to our Petit Verdot which is grown on the only non-Cab block on the ranch. It was unique as a variety as well and we were very proud of it. By comparison, our 2016 PNV Cabernet Sauvignon offering was an opportunity to showcase the hillside portion of our vineyard with interesting, thin, volcanic soil that translated into remarkable fruit character." Understanding what a singular block can deliver is magical information for any vintner, and so in many ways, the process of creating Premiere Napa Valley wines gives vintners the bonus of a deeper insight into their own vineyards. As Phillips explains: "In terms of this vineyard, the sum of its parts is indeed greater than the whole. When a specific block performs on a vintage and delivers on its own merits, it's remarkable, and a pleasure for us to hold up." It is in the celebrating that Premiere Napa Valley wines shine. Collector Tom Fickinger saves them for special occasions: birthdays, anniversaries, to share with clients at a restaurant or a party. The reaction is always the same. "I show the label, I explain the story behind the wine, people taste it and it all comes together. Having that added storytelling layer is so important. It changes these bottles from just being wines of terroir, to something so much more. They become part of my story too." Find out where you can buy Premiere Napa Valley wines.